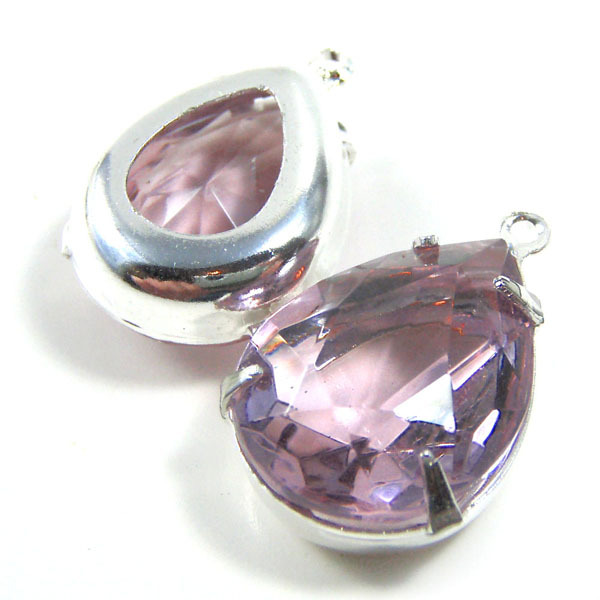 These jewels measure 16mm (about 5/8″) x 12mm (just a smidge under 1/2″). They’re a great size for earrings and necklace focals. I’ve placed them in shining silver plated settings. The underlying metal is brass – which contains no nickel or lead. These are gentle on the skin. They’re available in my Etsy jewelry supplies shop. I figured it was time for a new look at my Etsy jewelry supplies shop. Often times I can get new supplies of some of my “classic” vintage glass jewels – but I also have some wonderful new colors. And some classic rhinestone styles that are new (and reorderable) – and well just gorgeous! 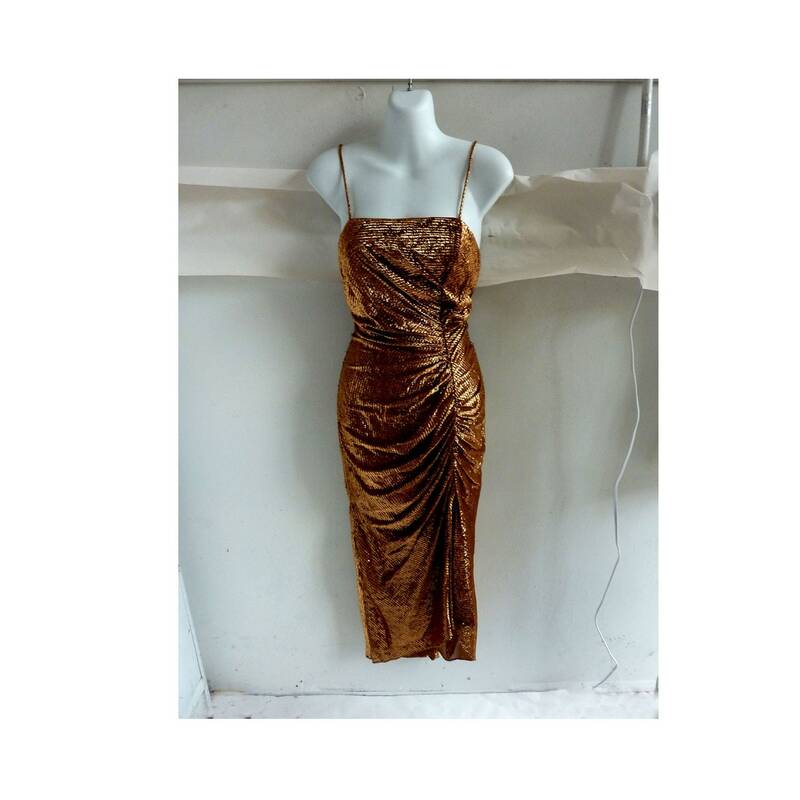 You know, it is so amazing, the great vintage fashion – strike that: the great FASHION – you can find online, and yes, especially at Etsy when you start looking. Yes, this is just an example. But it’s a great one. It looks terrific. It’s a great price. You’re not going to see it everywhere else this season. And if it’s gone when you go look, well, they have lots of other goodies. Vintage shopping? THE way to shop. JD Bok – totally worth checking out. 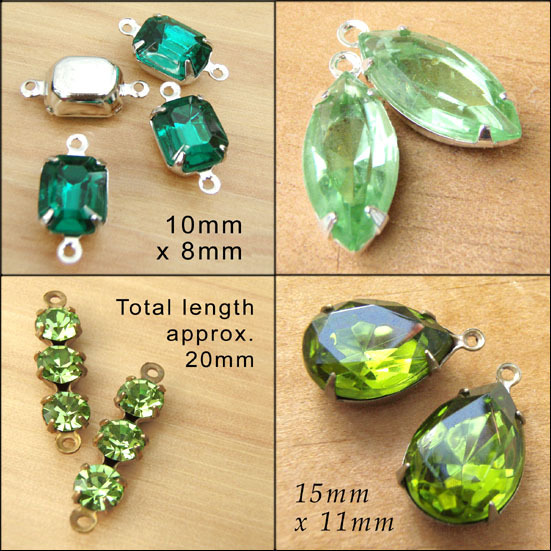 Green rhinestone jewels – in their many incarnations – well, they’re special. Partly because I’m a redhead – well, sometimes, with just a little help 🙂 Partly because the tang of olivene green is always fresh – and peridot sparkles – and emerald green? Well, let’s just say emerald is flattering on almost everyone – I mean, really flattering. And it’s gorgeous. And looks expensive.